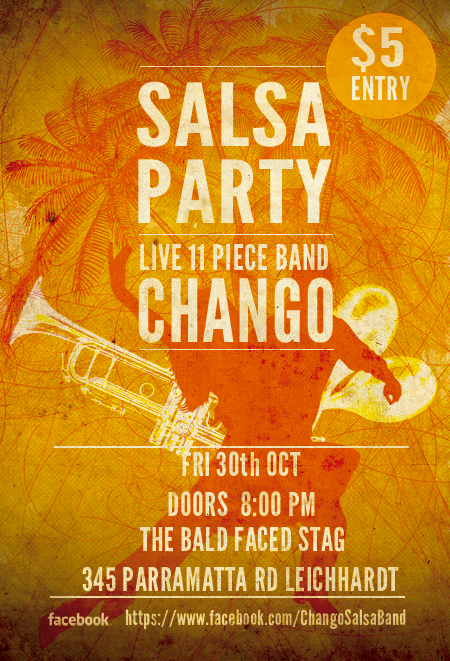 We’d like to invite you to join us, Chango, to a fun salsa party with lots of dancing and live music at the BALD FACED STAG hotel on FRIDAY night the 30th OCT with the FULL 11 Piece Band and special guest DJ David Vasquez. Doors open at 8:00pm. Entry is only $5.